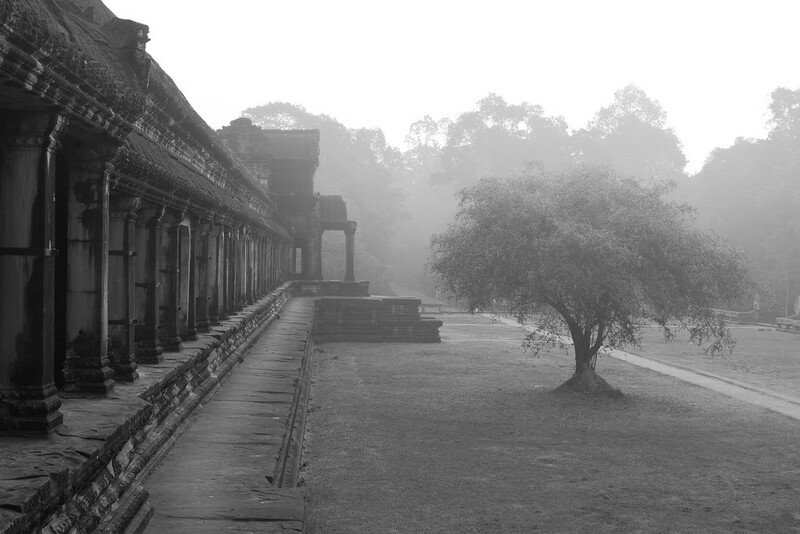 If you ever visit the Angkor Complex in Cambodia, may I suggest that you stick on a pair of headphones and wander around attempting to find areas where there are less people. It was by doing this that I felt an appreciation for what I was seeing before me, and though a group of people taking selfies were just around the corner, the music helped to imagine I was there alone, even if this was only for a brief moment. This scene is very different to the chaotic one which look place an hour before, where hundreds of people gathered by the reflecting pool on the outskirts of the temple waiting for a sunrise. It was in this spot that I first felt somewhat peaceful here and was the first time I thought Cambodia was actually quite nice after all. I embraced this philosophy for the rest of my trip there and had a wonderful time.